First successful application for a DFG project on dripping in falling liquid films!! in chemical engineering. In these applications, the prevention of dripping to ensure homogeneous coatings or the promotion of dripping to increase liquid/gas interface areas is of high interest. 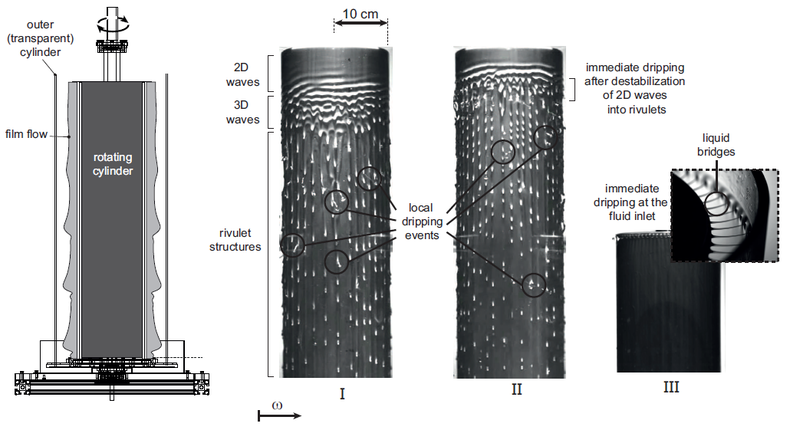 Due to the non-linear character of dripping from films beneath surfaces, an analytical approach to the problem is difficult and correlations for the onset of dripping and a quantification of dripping mass flows are not available at present. Within the proposed project, the dripping regime in films flowing beneath basic surface geometries is analyzed through fully resolved numerical simulation, low-dimensional modeling and experimental investigations. The aim is to provide physically motivated correlations for the onset of dripping and to quantify dripping mass flows and specific surface areas to enable a targeted design of respective processes. Dieser Eintrag wurde veröffentlicht in Uncategorized von wilkorohlfs. Permanenter Link des Eintrags.